In any scientific experiment, a variable is a factor that can be changed or controlled to affect the outcome. This simple science activity for 1st grade helps kids to understand cause and effect, an important principle that forms the basis of scientific variables. 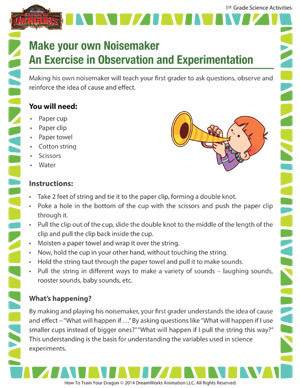 If your little one enjoyed it, we have other interesting 1st grade activities covering a variety of science topics.